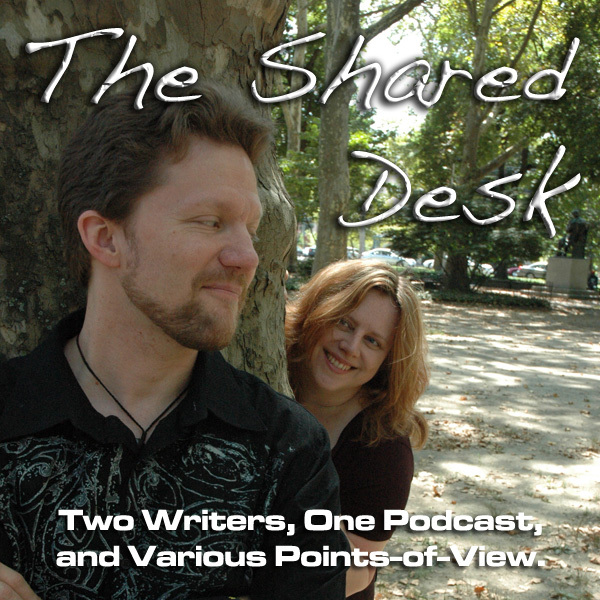 Remember The Shared Desk? That was a pretty cool podcast. Too bad it podfaded, right? Well, no — we didn’t go anywhere! Well, hold on, actually, yeah, we did go somewhere. It was Clockwork Alchemy and it was a right blast! 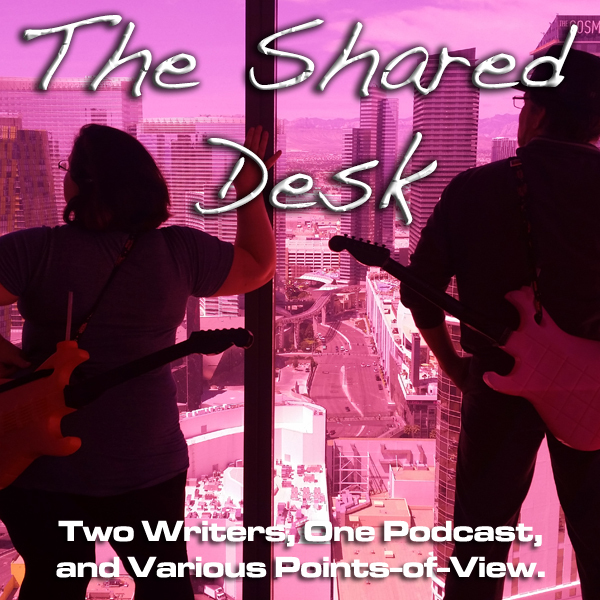 The Shared Desk, now recorded LIVE on Twitch at Tee’s Twitch Channel, finally got behind the mics after the dust from a government furlough and a trip out west finally gave them a chance to catch their breaths and record. What are we talking about, you wonder? Well, we’re specifically talking about writers consuming media. Sometimes, writers need to relax. Thing is, that can be hard when we’re always critically looking at how other writers do things. Can writers effectively turn their brains off, relax and enjoy the show? Pip has a drink, but she wants Tee’s drink instead. Tee is not hip, but he is old. Addressing the stream and a changing of the guard. Sorry, Katie! Maybe we can do something special with that episode? Maybe drop it into Pip’s Patreon? The original bell will not go quietly! Pip defines “turning your brain off” as a writer. Tee and Pip have really been enjoying Star Trek: Discovery. 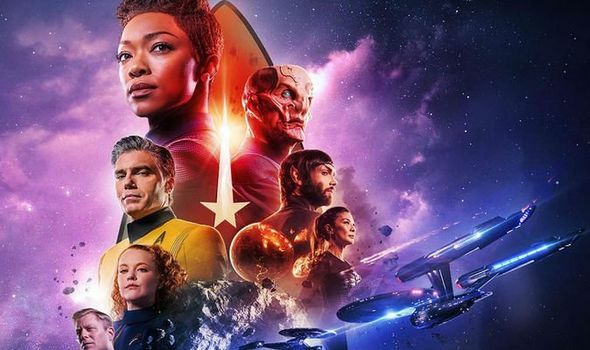 Is it worth the cost of CBS All Access? This will be a spoiler-free episode, we promise! We want to know MORE about THIS CHARACTER. …so we could watch THIS CHARACTER die. Then we get Discovery’s next stop in the galaxy: Talos IV. 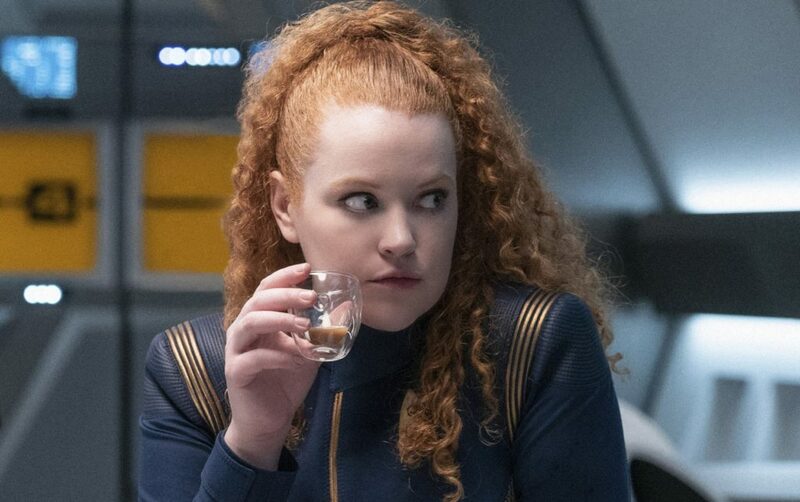 The writing crew of Discovery handles canon with real reverence, but the new, original stuff is slightly clumsy. Pip thinks writers make terrible media consumers. Pip’s current read is dickering around with time jumps, and she’s got issues. Writing passages in time are not always easy. Tee loves a slow burn, and it triggers him when shortcuts are taken. 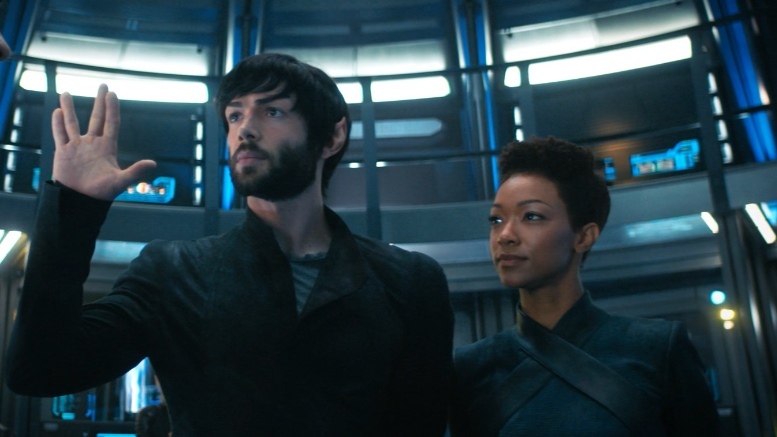 Massive shout-out to Ethan Peck who gives great Nimoy without doing an impersonation of Leonard Nimoy. As a writer and an actor, Tee’s got a jelly on. Want a glimpse at Lauren Harris‘ next cosplay? Where you can find them, watch “Short Treks” in between seasons. No, not all writers are perfect. It’s when you show how good you are, but then take cheap or manipulative short cuts? Yes, we get it. We suspend disbelief. But there are limits. Can writers appreciate good writing better than their own? Oh yes! Good writing — no matter the media — should be inspirational to other writers. How about this for an unexpected surprise? You’re going to want to see this. Seriously. 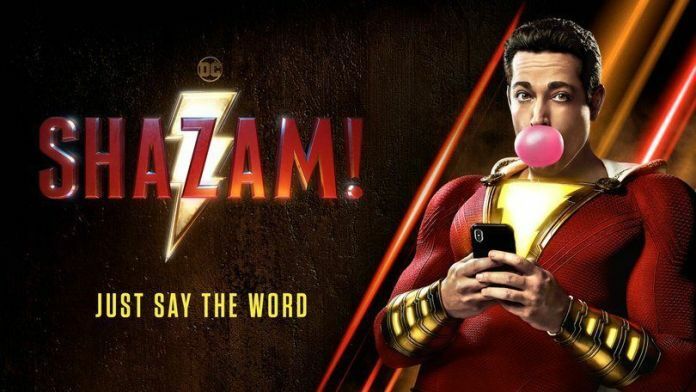 Billy Batson is a teenager, so Shazam acts like a teenager. And it works! Zachary Levi delivers as the Big Red Cheese. This is DC’s Guardians of the Galaxy. How long until Game of Thrones?! Wrapping up the podcast, but when you follow or subscribe to the stream, you get the extra content! Tee weighs in on attending GuardianCon in 2019. Instead, Tee is aiming for TwitchCon in September. 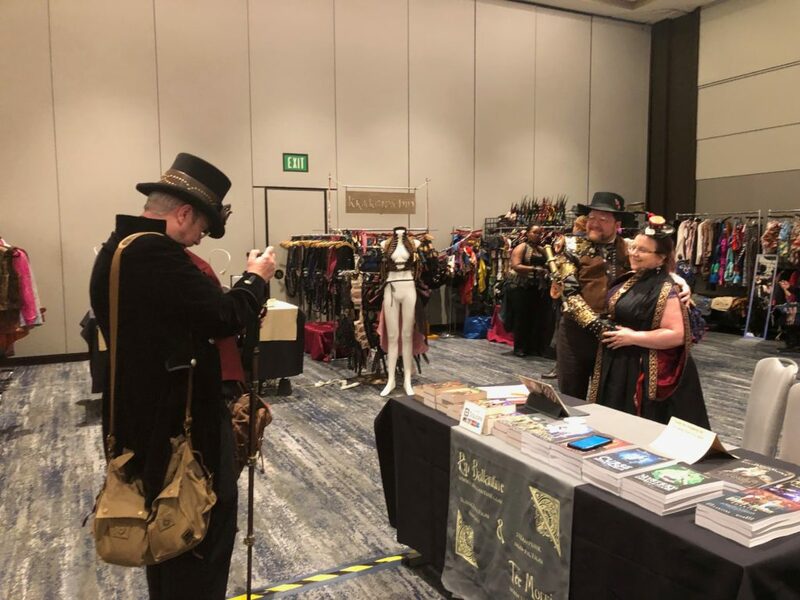 Tee & Pip are coming to Key City Steampunk Festival. And there’s a return to Richmond for the James River Writing Festival planned for this year! Twitch for Dummies, now in bookstores everywhere! Time to get to Westeros!